GoPro Studio is the editing software you need to give your videos a professional format. 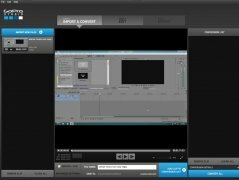 Thanks to this program you can turn them into professional videos thanks to the wide range of tools and templates offered by the application, which will allow you to apply image and sound effects, turning your computer into a complete an easy-to-use digital post-production center. 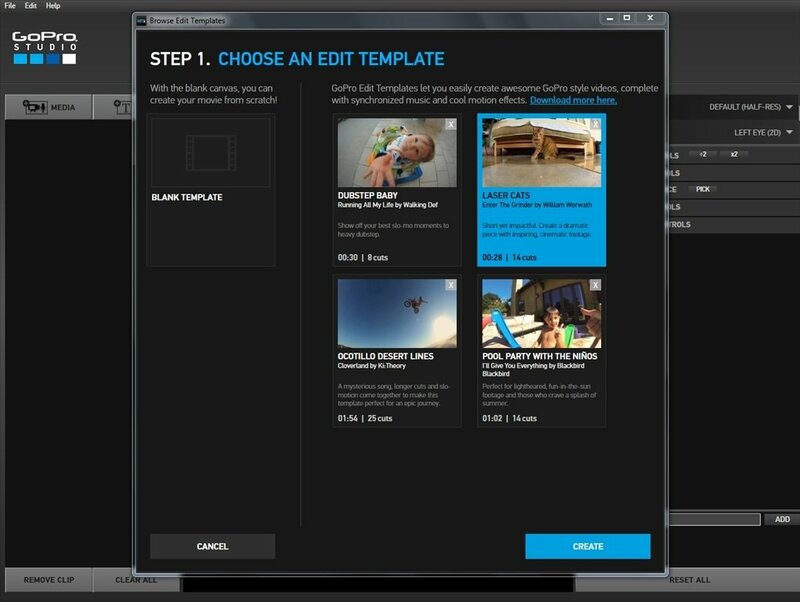 Create the video you always wanted with the templates offered by GoPro. 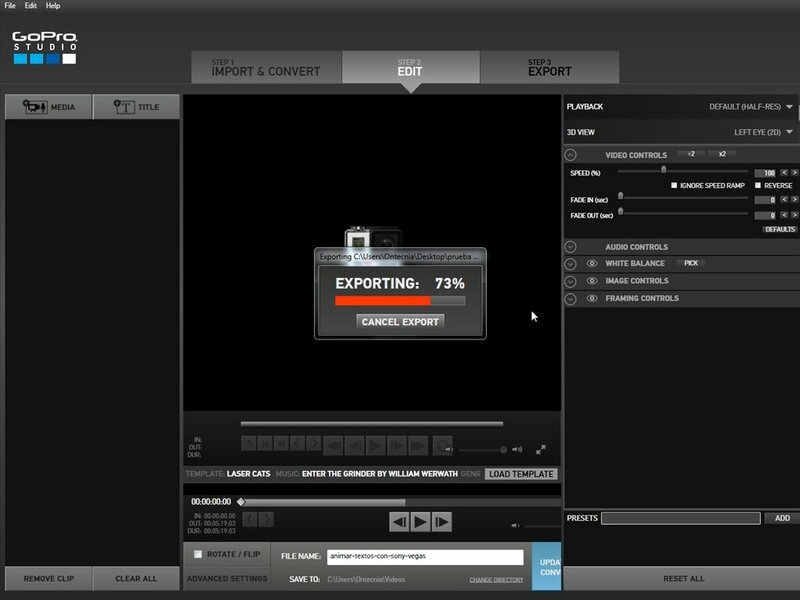 Creation of videos based on time-lapse sequences. Compatible with GoPro, Canon and Nikon cameras, as well as MP4 and H.264 formats. GoPro Edit templates that simplify the conducted creation of videos. Functions to cut, edit and mix video clips. Add titles, music and audio tracks. 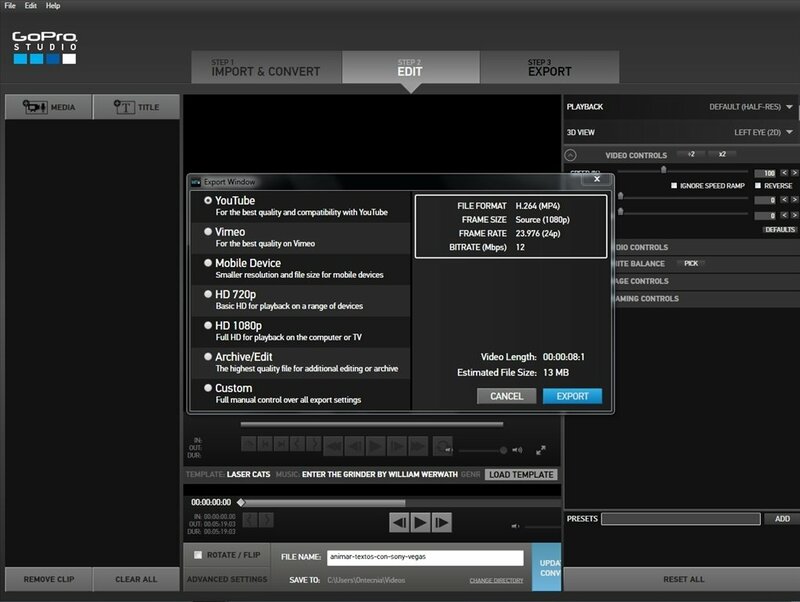 Export videos with fixed images at maximum resolution. GoPro Studio's templates allow you to create videos based on presets. You only have to take a look at the templates available and choose the type of video that you want to make, to then drag your clips to the editing area and replace the templates. Your video will be ready and in a professional format. Download GoPro Studio and provide your home videos with a high quality finish. Requires Microsoft Visual C++ 2005 Redistributable that downloads during the installation.